Task or trail, the KingQuad Lt-A400F handles it all with exceptional performance. 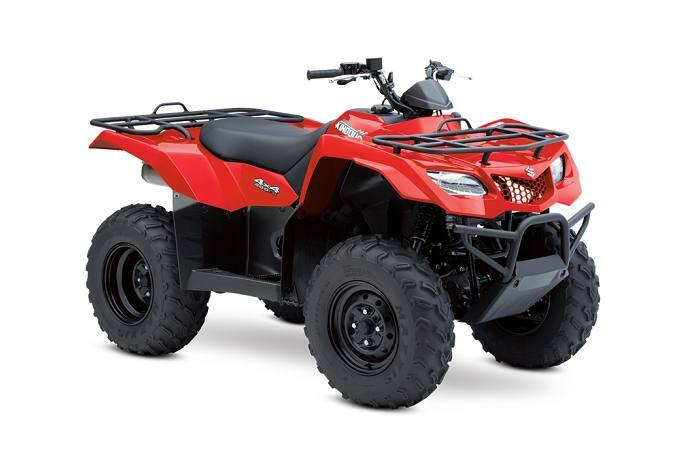 Two and four-wheel drive modes will help you handle rough weather conditions while completing even the most demanding chores. 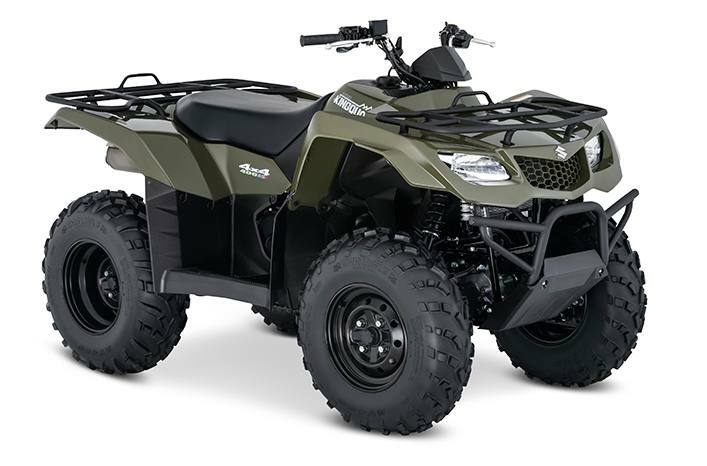 The advanced QuadMatic transmission offers smooth power delivery with impressive torque to help get you to the end of the trail and back. 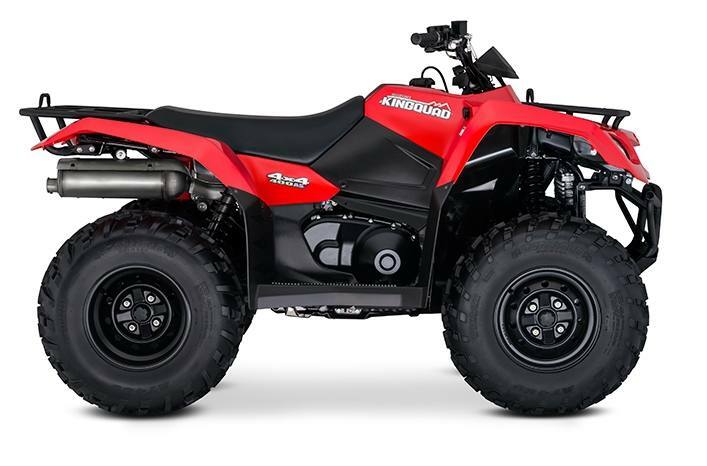 If durability and power are high on your priority list, the KingQuad is the only ATV for you.